Cody Coleman is a first generation student, who aims to leverage his passion for computer science to improve education and society as a whole. 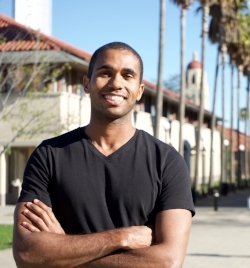 He is a second-year Computer Science Ph.D. student at Stanford University and a National Science Foundation (NSF) Fellow. Advised by Matei Zaharia and Peter Bailis, Coleman is a member of the Stanford DAWN project, which aims to democratize artificial intelligence (AI) and machine learning (ML) by creating systems and tools to improve the efficiency and accessibility of end-to-end ML application development. He graduated from Massachusetts Institute of Technology (MIT) with a B.S. and an M.Eng. in Electrical Engineering and Computer Science. Austin Highsmith is best known for the role of Phoebe, in “Dolphin Tale 1 & 2.” On television, she has appeared in guest roles on such series as “Private Practice,” “Castle,” “Criminal Minds,” “Grey’s Anatomy,” “Big Love,” “CSI: Miami,” “NCIS” “Ghost Whisperer,” “Hawaii 5-0” and “Rizzoli & Isles.” She has also had roles in a number of independent and short films, and has produced several of the independent films she's starred in as well, including 2 for Lifetime Movie Network. Apart from her on-screen work, Highsmith is a stand-up comic having performed at such venues as the Comedy Store, Acme Comedy Theatre, and the Tampa Improv. A native of Winston-Salem, North Carolina, Highsmith graduated from the University of North Carolina with a dual degree in Fine Arts and Political Science. Moving to Los Angeles, she attended the Ruskin School of Acting, and is considered one of the founding members of the Ruskin Group Theatre. Author, innovator, futurist, teacher, commentator and founder of Thrivals at IdeaFestival, Nat Irvin, II, is the Woodrow M. Strickler Executive in Residence, Professor of Management Practice, College of Business, University of Louisville where he has taught change management, leadership, future studies, and team dynamics since 2007. From 1996-2007, Irvin led Future Focus 2020, a think tank dedicated to providing leadership in bringing futurist thinking to urban communities. In 2000, Future Focus 2020 became a center of the Babcock Graduate School of Management at Wake Forest University in Winston-Salem, North Carolina, where Dr. Irvin served as Executive Professor of Future Studies and as Assistant Dean for MBA Student Development. 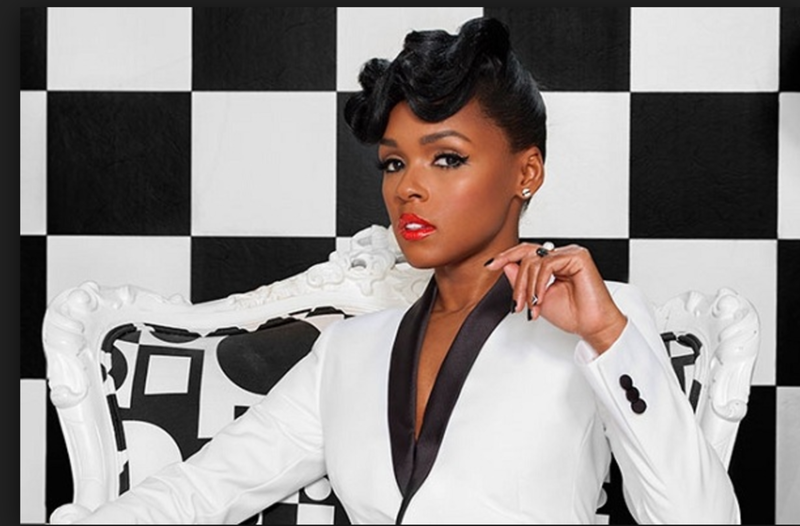 American musical recording artist, actress, Cover Girl model, CEO of Wondaland Records, Founder of Wondaland Arts Society. Brittany Packnett is an award-winning national leader in social justice. Cited by President Barack Obama as a leader who's "voice is going to be making a difference for years to come," Packnett is an unapologetic educator, organizer, writer, and speaker. 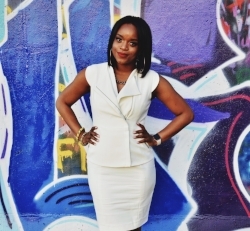 Known as @MsPackyetti on social media, Brittany has become a sought after voice in the work of social change and empowerment. A former teacher, policy expert, and non-profit executive director, Packnett has committed her life and career to justice. She currently plays many roles, all focused on freedom. She serves as Teach For America’s Vice President of National Community Alliances, where she leads partnerships with communities of color and with them, is crafting the organization’s first civil rights and equity agenda. Packnett was a Ferguson protestor and continues in activism as, among other things, co-founder of Campaign Zero, a policy platform to end police violence. She is a featured mainstay on Pod Save The People, offering accessible analysis of news and culture, and recently penned the personal series 'Falling In Love' for Amy Poehler's Smart Girls. Recently, Packnett launched Love + Power, a hub created to inspire, empower, and outfit everyday people to seismically shift society. She was an appointed member of the Ferguson Commission and President Obama's Task Force on 21st Century Policing. Today, she continues to advocate for urgent systemic change at critical decision making tables and through national and international media. Robert Shetterly is an American artist who graduated in 1969 from Harvard College where he active in Civil Rights and in the Anti-Vietnam War movement while taking some courses in drawing which changed the direction of his creative life -- from the written word to the image. After college, a year of teaching school in a two-room schoolhouse in the West Virginia mountains, and moving to Maine in 1970, he taught himself drawing, printmaking, and painting. While trying to become proficient in printmaking and painting, he illustrated widely and for twelve years did the editorial page drawings for The Maine Times newspaper, illustrated National Audubon's children's newspaper Audubon Adventures, and approximately 30 books. Best known for his Americans Who Tell the Truth portraits, his series of more than 180 portraits and have given him an opportunity to speak with children and adults all over this country about the necessity of dissent in a democracy, the obligations of citizenship, sustainability, US history, and how democracy cannot function if politicians don’t tell the truth, if the media don’t report it, and if the people don’t demand it. Also, implicit in them is the question of how we derive our ethics -- from what’s good for economy or what is consistent with morality and our political ideals. He continues to engage in a wide variety of political and humanitarian work with many of the people whose portraits he has painted and three years ago he began an educational project in Maine, The Samantha Smith Challenge, which gets middle school students out of the classroom and engaged in finding solutions to issues they are most concerned about.